If you’re new to the Alaska Center For Oral + Facial Surgery (AOFS), we are a state-of-the-art, modern accredited surgery and anesthesia facility with board-certified surgeons who provide minimally invasive procedures. When you’re suffering from teeth issues, sleep apnea, jaw problems or head and neck trauma, they can often be painful and cumbersome. The surgeons and staff members at AOFS understand this concern and always maintain a patient-centered practice so you feel at ease when you work with us. We warmly welcome you to Alaska Center for Oral + Facial Surgery as we look forward to working with you. Dr. Nordstrom – Dr. Nordstrom is one of the two physicians in Alaska who is licensed in both medicine and dentistry with a focus and certification in oral and maxillofacial surgery. His primary focuses are on complex dental implant concerns, oral lesions and tooth extractions, neck and head trauma, corrective jaw surgery, and cleft lip and palate care. Dr. Dashow – Dr. Dashow is also licensed in both medicine and dentistry, in addition to anesthesia training. He addresses and highlights TMJ treatments, corrective jaw surgery, facial trauma and pathology, and general implant surgery. Dr. Ueeck – Dr. Ueeck specializes in cleft lip and palate procedures and travels to developing countries to help children who suffer from this condition, and oversees the anesthesia safety evaluation program. When he’s not at AOFS, he is an affiliate clinical professor at OHSU. Our clinic is a beautiful and modern clinic with technology and the innovative minds of our surgeons, ready to help address your most complex dental issues. Because of our advanced technology, we are able to address and provide the highest quality treatments and the most-up-to-date care available in dental medicine. Each of our surgical suites is reproduced to reflect those of a hospital operating room, paying close attention to the infection control protocols. This is an advantage for patients because they experience the high levels of care with the convenience of outpatient surgery, at a fraction of the cost. All diagnostics are available in our clinic including a CT scanner, which saves you time and the hassle of having to get one somewhere else. 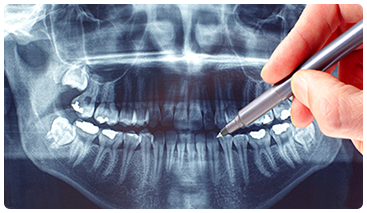 We are also able to have scans approved, taken, and assessed within the same visit. For a full clinic tour, click here! There are many oral and facial surgery facilities, but ours stands apart not only because of the technology we use, but also because of our overall approach. Not only will your smile be brighter, but your quality of life will also improve. We’re serious about communicating and developing with you exactly what your treatment plan will look like. At AOFS, you’re not just another number — you’re a patient that Drs. Nordstrom, Dashow, and Ueeck will sit down with and give you their time. The process here is also transparent in every aspect — we’ll work with you to give you a concise payment along with insurance options to find a plan that is best for you. We also have an exceptional billing staff ready and able to answer any questions you may have about your payment options and how insurance works. If you’re dealing with any oral issues, don’t go it alone, and find the relief you need in AOFS. We’re here to help calm your nerves about oral and facial surgery procedures and provide the best services with our amazing surgeons, staff, and technology. To read more about the people we’ve helped, peruse our success story page here and read testimonials here. 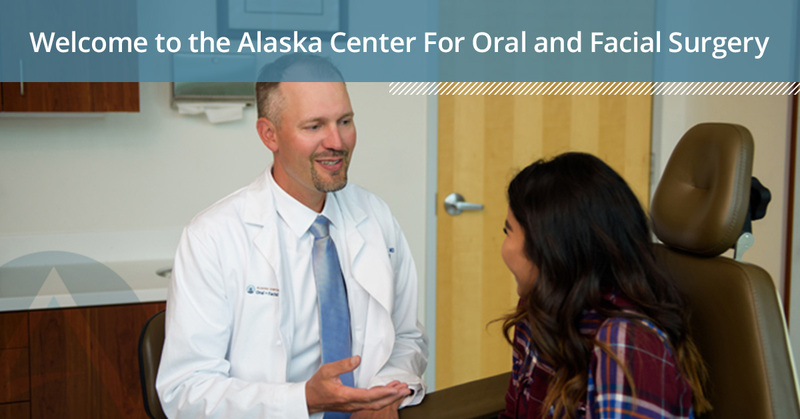 Alaska Center for Oral + Facial Surgery is the premier oral and facial surgery center in the Alaska region – work with us today! Call our office at 907-222-5051, or reach out by email at info@AlaskaOralFacialSurgery.com.